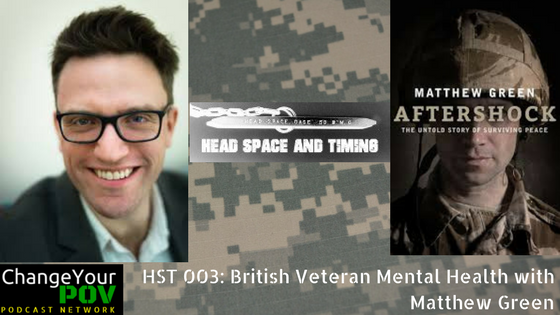 Author Matt Green shares his unique perspective as an embedded reporter with U.S. troops in Iraq, as well as his observations from working with returning British veterans. He has spent the past 14 years working as a correspondent for the Financial Times and Reuters and has reported from more than 30 countries, most recently Afghanistan and Pakistan, where he investigated subjects including the money men bankrolling the Taliban and the kingpins behind Pakistan’s heroin trade. After studying Politics, Philosophy and Economics at Oxford University, Matthew began his career with Reuters, working in east and west Africa and in Iraq, where he was embedded with US Marines during the invasion in 2003. He later joined the Financial Times, working in Nigeria and then Pakistan and Afghanistan, where he spent time with US forces deployed to Helmand and Kandahar provinces in the Obama administration’s troop surge. Matthew is now based in London and appears regularly as a commentator on the BBC News Channel and World Service radio, and writes for publications including Monocle magazine and the Literary Review. His first book was The Wizard of the Nile: The Hunt for Joseph Kony, which won a Jerwood Award from the Royal Society of Literature and was long-listed for the Orwell Prize. Posttrauamtic Growth, and the danger of relying on the concept of posttrauamtic growth as a “positive” that comes out of trauma. Aftershock: The Untold Story of Surviving Peace: Over the last decade, we have sent thousands of people to fight on our behalf. But what happens when these soldiers come back home, having lost their friends and killed their enemies, having seen and done things that have no place in civilian life? In Aftershock, Matthew Green tells the story of our veterans’ journey from the frontline of combat to the reality of return. 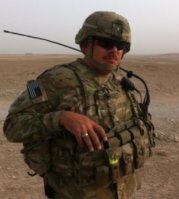 The Enemy Within: A radio documentary co-produced by Matthew Green on the impact of veteran mental health on a service member’s family. Coming home from war can be messy, especially when the battle doesn’t stay on the battlefield. This is the story of what it means to love and care for soldiers who have brought the war home with them. Theater of War: Theater of War presents readings of Sophocles’ Ajax and Philoctetes to military and civilian communities across the United States and Europe. These ancient plays timelessly and universally depict the visible and invisible wounds of war. By presenting these plays to military and civilian audiences, our hope is to de-stigmatize psychological injury, increase awareness of post-deployment psychological health issues, disseminate information regarding available resources, and foster greater family, community, and troop resilience. Do you want to check out Duane’s latest book, Combat Vet Don’t Mean Crazy? Check it out by finding it on Amazon.